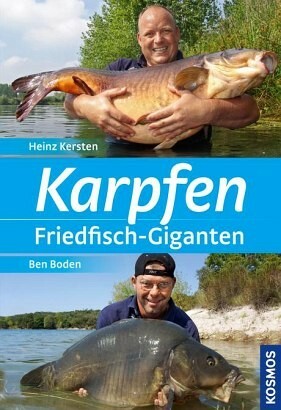 Product information "Karpfen - Friedfisch-Giganten"
The fan base of carp anglers is growing. Here, Heinz Kersten and Ben Boden teach the reader about biology, nutrition, and hunting places of this predatory fish. Includes numerous techniques for successful carp fishing - alongside modern aids such as sonar, GPS and remote controlled bait boats. In addition, the authors take a look at the future of carp fishing. Heinz Kersten betreibt das größte deutsche Internetforum für Karpfenangler: cipro.de. Gemeinsam mit dem passionierten Angler und Autor Ben Boden ist er Team-Angler der Watersportcentrale Genk. The author Ben Boden has been fishing since childhood and traveling the world to hunt for his scaly prey. He regularly passes on his experience and knowledge in trade magazines and at trade fairs.